us will be supporting the defendants from the public gallery. Majority of those were either found not guilty or had their charges dropped. were used to harass and intimidate the demonstrators. on trial.Court solidarity demonstration to support the last protester arrested at the NATO summit, charged with assaulting a police officer. There will be a short solidarity demonstration outside the court from 9:15am on Wednesday 4th of Feburary 2015. Anti-militarist and anti-police repression banners and well-wishers welcome. Afterwards some of us will be supporting the defendants from the public gallery. 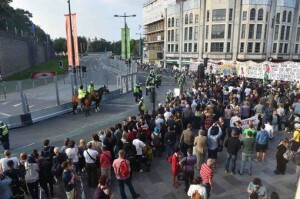 During the NATO summit the police attempted to intimidate protesters from demonstrating. People were followed and harassed. Evidence gathering teams, were used to harass and intimidate the demonstrators. 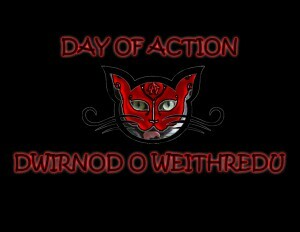 thrown into violence and conflict. 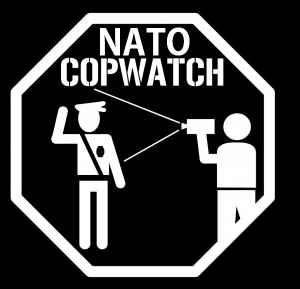 Come and support the last NATO summit defendant, if there was any justice it would be those responsible for killing innocent people, not the victim of police aggression – on trial. 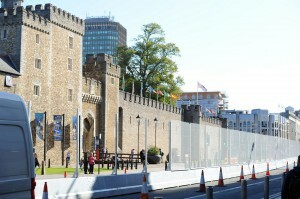 This year NATO will have their next summit at Celtic Manor Resort, in Newport, south Wales. In early September 2014, “world leaders” – all directly responsible for untold death, illegal torture flights, and wars fought purely to protect Western business interests and resource supply routes – will gather on the edge of this historic Welsh city. 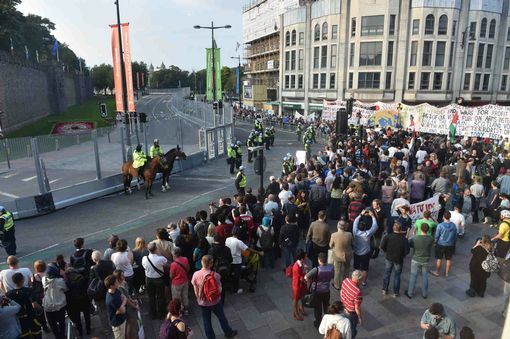 Many people from Newport, Cardiff, Bristol and beyond, will oppose the summit and use a diversity of tactics against it.Eleni, bydd NATO yn cynnal eu cynhadledd flynyddol yn y Celtic Manor yng Nghasnewydd, de Cymru. Yn gynnar ym mis Medi 2014 bydd Obama, Hollande, Cameron, Merkel ac eraill yn dod at ei gilydd ar gyrion y ddinas hanesyddol Gymreig hon. Mae’r ‘arweinwyr rhyngwladol’ hyn a’u cynghreiriaid i gyd yn uniongyrchol gyfrifol am farwolaeth ar raddfa eang, teithiau artaith anghyfreithlon, a rhyfeloedd a gaiff eu hymladd er mwyn diogelu buddiannau busnes Gorllewinol a llwybrau cyflenwi adnoddau. Bydd llawer o bobl o Gasnewydd, Caerdydd, Bryste a thu hwnt, yn gwrthwynebu’r gynhadledd ac yn defnyddio amrywiaeth o dactegau i wrthdystio yn ei erbyn.